In the Nintendo DS’s life span we’ve seen very few dating sims for the console. In fact, there are zero true dating sims on the DS, not counting Harvest Moon and related games. 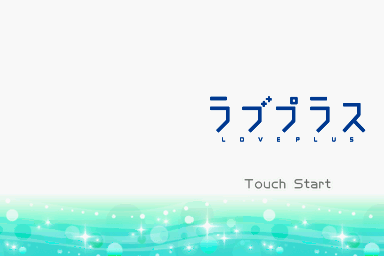 The few dating sims released for the DS were only released in Japan, LovePlus being one of them. LovePlus, for the most part, is astounding. It’s 3D models seem near impossible on the system. There are 3 girls to develop feelings for, and all of them have extensive 3D models with various animations and gestures. This makes the game feel very lifelike. 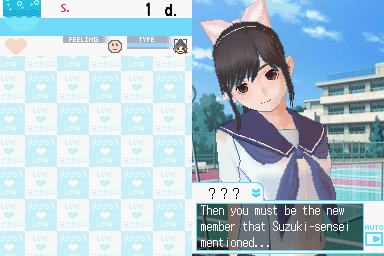 Another bonus of LovePlus is that its voice audio is superb. The girls feel like actual human beings, and if your name is Japanese, they can pronounce it word for word. However, these plus points aside, it really isn’t much of a great game. The gameplay is basically arranging your schedule in order to advance in four categories (fitness, intelligence, style and charm). These four categories are what the girl sees in you, and you have to excel in some categories to impress the girl. The events that you schedule can also lead to talking to the girl, which leads to knowing more about her. Other than the 3D models of the girls, the rest of the graphics seem half assed. It’s not bad but it certainly needs a lot of improving. They feel like stock anime pictures. This opinion varies from person to person, but it feels dull overall. The soundtrack of this game is forgettable. The dialogue seems bland at times, but feels like a real life conversation. The translation does its job but we are left clueless on Japanese terms like skinship or why it’s ok to karate chop girls. The game was designed to have an entirely lifelike feel to it and I believe they’ve accomplished that. 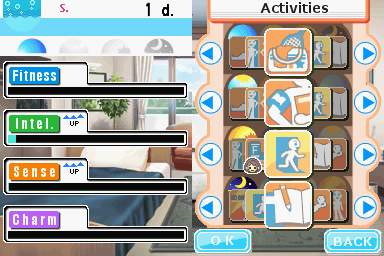 In fact, after you successfully get a girlfriend in the game, you can go to LovePlus+ mode, which adds in real world elements, like planning events and talking to your girlfriend using the DS microphone. While I haven’t played past this due to myself not being a Japanese speaker, I’m sure people aspiring to learn the language will find this game neat. 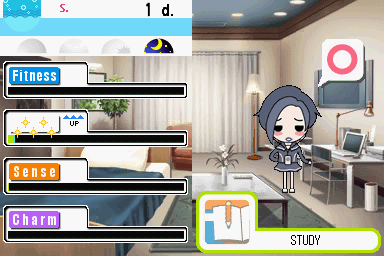 This game is pretty smart in the sense that if you turn off without saving, there’s huge drawbacks in doing so. This also adds in on the real life theme. Another thing that really made me mad about this game is that fact that there’s only 3 girls to choose from. Maybe if the roster was more spread out it would’ve been a bit better. A small “did you know” is that a Japanese man actually legally married his DS, with one of the girls from the game. This is a game with flaws and plus points, and will be a huge part of your life if you form emotional attachments quickly. Of course, if you don’t, this is a waste of time and will be discarded after you achieve the goal. Love Plus is a dating sim that consists of an initial stage where the goal is to get a love confession from one of the three girls, and a post-confession stage where you continue your relationship with her. With the exception of some graphics intentionally left in Japanese, the patch translates the game completely into English.